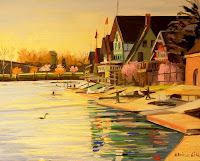 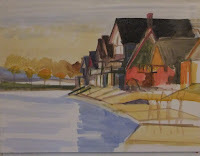 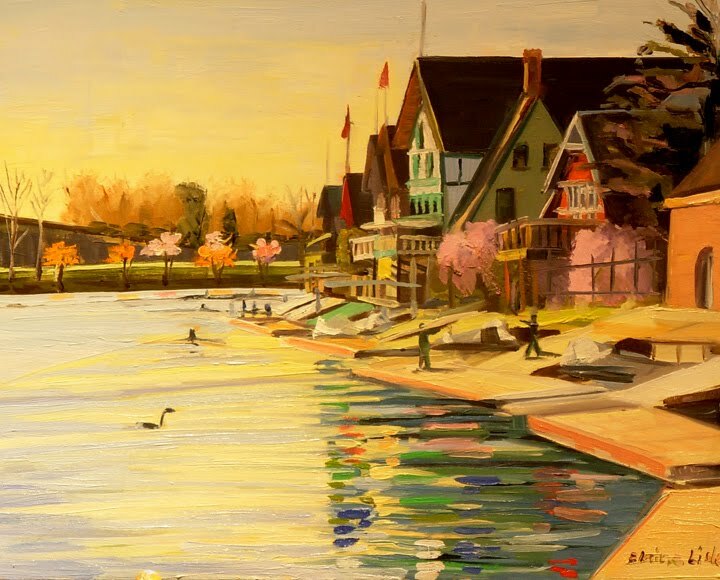 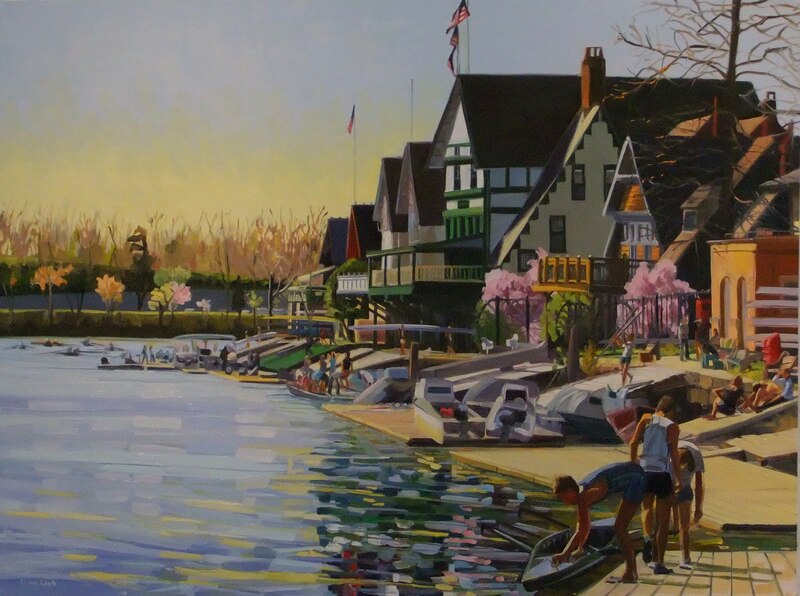 This is a plein air sketch I had done last spring- down at the boathouses. 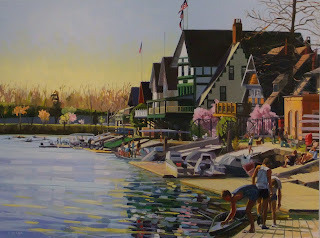 I decided to use this composition as reference for a larger painting. 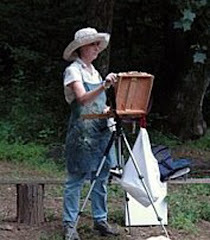 I taught a 4-week workshop - "Large Composition " at the Main Line Art Center in March where I showed the group how I worked through each stage of the painting making changes along the way.